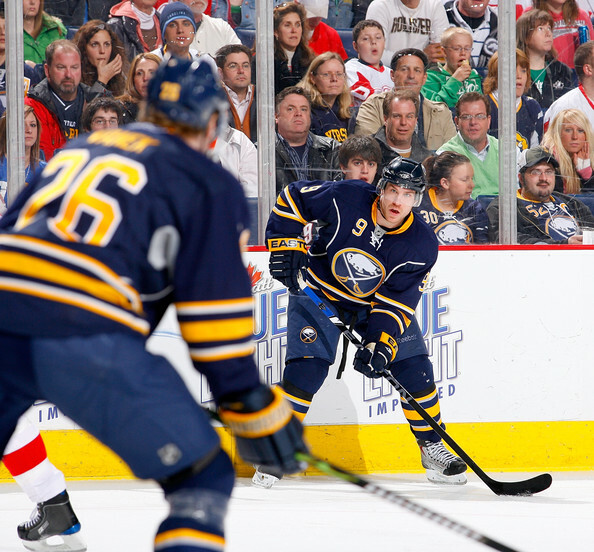 How will the Sabres approach this offseason? We are a few months removed from the final Sabres game of the season and there hasn’t been too much action at One Seymour H. Knox III Plaza. However, there have been grumblings. Will Derek Roy and Thomas Vanek get a power forward to add grit to their line? For starters, Mike Grier voiced his desire to stay in Buffalo for the 2010-11 season. Darcy Regier responded in kind with a one-year $1.4 million contract. The Sabres still have seven unrestricted free agents (including Raffi Torres) and three restricted free agents on the roster entering tonight’s draft. I don’t expect all eight contracts to be renewed, particularly Torres, Adam Mair and Patrick Lalime. In addition, I feel that Mark Mancari doesn’t have a spot in the Sabres’ organization anymore, mainly because he has mulled in the minors without being able to crack the NHL lineup for too long. 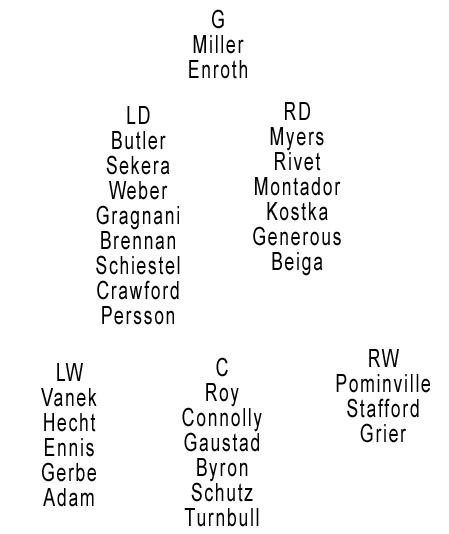 So, assuming the team resigns Pat Kaleta, Tim Kennedy, Matt Ellis and Cody McCormick there will be 13 NHL caliber forwards and six (seven counting Marc-Andre Gragnani) defensemen. Now, there is also a chance the Ellis and McCormick are not resigned in favor of different UFA signings or promotions from within the organization. Either way, there will be holes that need to be filled with the big club heading into next season. As it stands now, the Sabres are deep at defense, with 14 professional contracts earmarked for defensemen, many who will see time in the AHL again next season. At forward, the Sabres have a surplus of centermen, as there are three remaining from last year and Tyler Ennis, Jochen Hecht and Tim Kennedy (when signed) can all play as the pivot. Buffalo needs desperate help along the wings, particularly a player cast in a similar mold to Grier but hopefully with more offensive potential. Mark Mancari would be a perfect fit but he has often shied away from using is tremendous size to his advantage at the highest level. For me, help can only be found outside the organization. Almost all of Buffalo’s media outlets accused the Sabres of being too soft in the playoffs and needing more players who can step in an perform when it matters most. Tim Connolly and Derek Roy have been at the focal point of this argument. I cannot see fault in the accusations either. Connolly was nonexistent during Buffalo’s first round loss to Boston and Roy was neutralized by physical play. Buffalo would be wise to find a new home for one of the two centers while finding a possible replacement on the trade or free agent market. This is a tall task, particularly considering the large contract that Connolly carries with him. Roy is much easier to move, but I feel he is the better one of the two pivots to keep around. I feel what Roy and Vanek are missing is a true power forward to ride shotgun and muck in the corners. Drew Stafford only hits when he wants to and plays more like a finesse player than a high draft choice who should be Scott Hartnell with hands. Stafford and Connolly would be my two players out the door. Stafford has a manageable cap hit of $2.3 million and could fetch a decent return if packaged properly. Now, the Sabres have never been a team to wheel and deal on the trade market. I don’t expect them to change their stripes overnight. However, there has been a lot of talk that Buffalo is heavily involved in acquiring Tomas Kaberle and the Maple Leafs want a top-six forward to come over in the deal. I don’t expect Buffalo to make this type of blockbuster trade but, I feel Connolly and Stafford or a prospect would certainly get the ball rolling in the right direction. Particularly because the cap exchange is not extreme in either case if this deal went through. Realistically, the Sabres will find a capable winger who will get his nose dirty and contribute 40-50 points, I’m thinking along the lines of a Colby Armstrong or (if we are lucky) Matt Cullen. Cullen could play wing or center and would be an ideal addition if Connolly or Roy is to be moved, or if they aren’t, I am a big fan of his game. 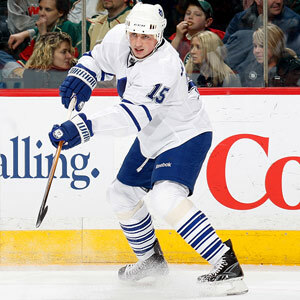 Will the Sabres offer enough to acquire Tomas Kaberle from Toronto? Additionally, the need for a powerplay quarterback has been sensationalized but, if Buffalo doesn’t get Kaberle who is left over? Joe Corvo would be my choice, he can be had for a bargain and he is a great offensive defenseman. Other rear guards that interest me are Willie Mitchell and Keith Ballard. While Ballard is still under contract, some rumors say he is on the block as the Panthers continue to shop players and picks. I wouldn’t mind sending a package that included the likes of Sekera, Stafford or a prominent prospect (Gerbe) in exchange for the former Sabres’ pick. It would be great to see Marty Biron back in a Sabres uniform next year. Last, but not least, is the issue of the backup goaltender. It would be a mistake to bring Patrick Lalime back, he is a great locker room presence but he isn’t a capable NHL goaltender. This, for me is a no brainer. Sign Marty Biron to a $1 million per year deal and be done with it. If someone swipes Biron go after Antero Nittymaki, he is a great goalie and could certainly shoulder the load of the most back-to-back sets in the NHL this year. Matt Cullen is at the top of my wish list for the Sabres this summer. Players that would be out: Tim Connolly, Drew Stafford, Mark Mancari, Matt Ellis, Adam Mair, Toni Lydman, Henrik Tallinder, Andrej Sekera and Patrick Lalime. That scenario also leaves room for one or two extra forwards depending on what is done in free agency and the trade market. None of these decisions would be my final choices, just examples of the type of players I think need to come in to help the Sabres take the next step. Hopefully one or two of these names finds their way on to the Buffalo roster. Plus, maybe Darcy will surprise us all and make a couple major moves to make the team a viable Cup contender for the 40th Anniversary season. Previous Article Where do they go from here?